This is a guest post from Marta Gorkal, Digital Marketing and Comm Specialist at Skyline Whitespace. Skyline Whitespace offers self-build, lightweight displays; medium size reusable modular stands; custom exhibition stands; and full structural bespoke stands. Trade show exhibiting can be a little overwhelming, especially if your event is just around the corner and you still don’t have a clear trade show strategy. There are a couple of things you can do to take back control and have a stress-free exhibiting experience. The key to success is careful planning. To drive traffic to your exhibition stand and leave a memorable impression on your visitors, you need to create a detailed plan for all your event activities and identify the role trade shows play in your overall marketing and sales strategy. Unlike digital marketing, trade shows give you the exciting opportunity to interact with your audience face-to-face and build lasting and more powerful business relationships, so go all out and make sure you make the most out of it. We’ve put together a couple of useful planning tips that will help your company stand out and succeed at every exhibition. With thousands of exhibitions taking place around the world, it’s important to choose the right one. Do your homework and find out as much information as possible about the shows you’re interested in. Exhibitions are a great marketing tool, especially for increasing brand awareness, launching new products and growing your customer base. But, not all will be the right fit for your company. To bring a good return on investment, sit down, list your exhibiting goals and identify shows that you think best suit your business. Once you identified the shows that you would like to attend, make sure you learn how each one of them will contribute to your objectives. Select an exhibition that addresses your target audience and helps attain your goals. 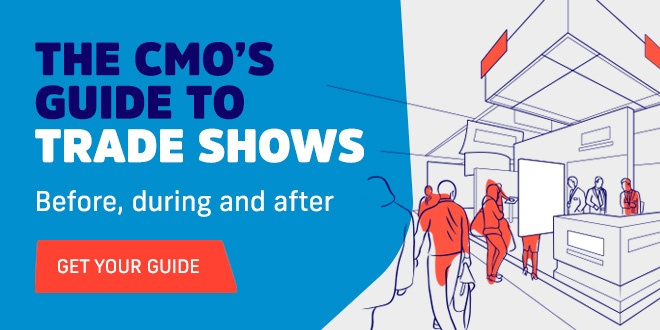 To ensure your selected show attracts the right type of attendees, ask organisers about attendee demographics, previous participants, attendee numbers and show statistics. Here are a couple of factors to consider when choosing your next exhibition. So you now know which exhibition (or exhibitions) you want to attend. It’s time to reserve your space. If you want to be in a prime, high-traffic location, you must register early, at least 6 months before the show starts! Identify a space that best suits your exhibiting needs and budget – This will determine the success of your exhibition and have a huge impact on your ROI. If you really want to go all out with your research (and you always should) you can check the venue schedule and take a visit during another trade show to get a feel for the place. Explore where the highlight exhibition spots are and identify dead spots where customers don’t pass through. Tip: Being in the middle of an exhibition hall isn’t always the best. These areas can become regularly congested and detract attention. Similarly with spaces by the entrance. These areas tend to have less activity, as many attendees just walk through them without looking around and want to get to the main point of the show. Spaces in the corner can be a good option due to their open space. Stands close to a restaurant, coffee shop or toilets are cleverly positions to attract passing visitors. It’s all about location, location, location. Plan in advance to get that perfect spot. To make your success even more likely ask the organiser for a list of confirmed exhibitors (most events make them available online) and check out your competition and floor neighbours. Find out as much as you can about them. What products are they displaying? Are they planning any interesting at-show marketing activities? Are they using interactive technology? Use this information to refine your exhibiting strategy. It’s also good to established a solid relationship with your neighbours. Communicate with each other, find out each other’s schedule and if possible, ask about their stand design. As you know, strategic planning is essential to maximising your return on investment. Unique design, striking content, engaging activities are all contributing to your exhibiting success. When planning your exhibition stand, instead of following design trends, always aim for individuality. Your trade show marketing plan should already outline what you want to achieve at this event, look at your communication objectives and develop a stand theme that conveys enticing messages and captures people’s attention. Your stand needs to make a memorable impact in a busy exhibition hall. Tip: Choose an experienced, full-service exhibition company that provides all four key services: design, manage, build and engage. They will help you execute a stress-free exhibition and will easily meet all your requirements. When planning your on-stand activities, consider fun and interactive elements that will capture the attention of show visitors – include gadgets, iPads, interactive games and competitions that will help you bring your brand to life. Don’t forget to consider your lighting needs – An element, often overlooked by many exhibitors. Highlighting certain areas of your display means that the visitor’s eye will automatically be drawn to particular products or services. A good exhibition stand designer will be aware of the best lighting practices and will manipulate them to create different impressions depending on your brief and needs. Your next step is to develop a pre-, at- and post-show marketing plan. Use a multi-channel approach to make sure everyone knows that you’re attending an exhibition and where they can find you. Most visitors decide which stands they’re going to visit before the event event even begins. Thank you to Skyline Whitespace for sharing this article with us! It was originally published on their blog.